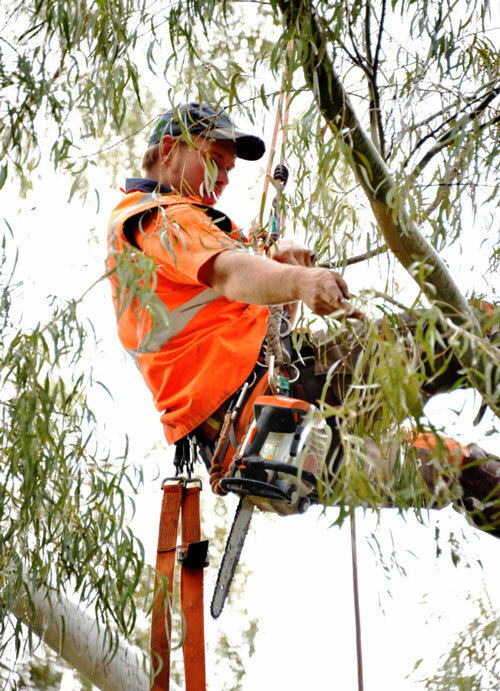 Blackwood Tree Service offer a wide range of tree management services, including; Maintenance Pruning, Crown Thinning, Crown Reduction, Selective Pruning, Dead Wooding, Limb Inspection’s, Service Line Clearing and Overhanging Fire & Storm Risk Limbs. Tree management is the removal of potentially weak or dead limbs that are considered a hazard to personal safety, wires, buildings, homes and other vegetation. A tree management strategy is affordable and a proactive approach to safety rather than a reactive measure to an incident. This proactive approach helps reduce the risk of damage or loss through storm damage or bushfire and ensures piece of mind when it comes to the safety of you, your family and creating habitats to help conserve the ecology in your very own yard. A well-maintained tree management strategy can contribute significantly to a property’s value and safety. Blackwood Tree Service offer routine or seasonal maintenance of your property providing bushfire protection advice and assistance in the creation of a buffer zone between vegetation and your home. A Blackwood Tree Service maintenance prune can involve a process called ‘Deadwooding’. What is Deadwooding? Gum trees often contain dead limbs that can be deemed very hazardous, not just to your home or shed but your pets and family. Our team offer this service to increase safety for the property’s inhabitants and ensure that our Client’s homes and families are safe. It is also important to note that maintenance pruning back a significant or regulated tree that is encroaching on your property does not generally require council approval unless it is likely to affect the tress health or natural appearance. This can be considered a case by case scenario and our team can assist you with determining your rights. Get our Blackwood Tree Service team around before it’s too late and let us help you create a proactive strategy for safety to protect your family and home. Our family service is known for being professional and more affordable than you think.